Officers of The RCR (CEF) - Brevet Lt.-Col. R.J. Brook, C.B.E., D.S.O. » Brevet Lt.-Col. R.J. Brook, C.B.E., D.S.O. 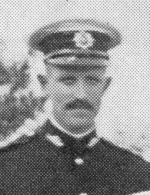 Lt.-Col. Reginald James Brook, C.B.E., D.S.O. 3rd Battalion, the King's Own (Yorkshire Light Infantry), Reginald James Brook, Gent, to be Second Lieutenant. Dated 8th November, 1902. First World War - Despatches (2), 1914-15 Star, British War Medal, Victory Medal, C.B.E., D.S.O., Sloval War Cross. THE LONDON GAZETTE, 21 DECEMBER, 1915 - Staff Captain - Captain Reginald J. Brook, 3rd Canadian. Infantry Battalion (Toronto Regiment), Dated 30th November, 1915. DSO Gazetted: SUPPLEMENT TO THE LONDON GAZETTE, 3 JUNE, 1916 - Maj: Reginald James Brook, 3rd Infy. Bn. D.A.A. and Q.M.G. -; Maj. R. J. Brook, D.S.O., 3rd Canadian Inf. Bn. 13th Dec. 1916. Adjutant 1st Bn. C.E.F. Staff Capt. 4th C.I.B., C.E.F. D.A.A. & Q.M.G., 3rd Can. Div. 1916. A.A. & Q.M.G. Can. Expeditionary Force (Siberia) 1918. G.S.O. 1 Siberian E.F. 1919. A.A. & Q.M.G., M.D. 2, 1920. A.A.. & Q.M.G., M.D. 7, 1927. 22 Sep 1929; Capt and Brevet Lieut. Colonel R.J. Brook, C.B.E., D.S.O., to be Major. As of 31 Mar 1930; holding appointment of A.A> & Q.M.G., M.D. No. 7. THE LONDON GAZETTE, 8 FEBRUARY, 1946; Commissions signed by Colonel the Right Honourable the Earl of Derby, K.G., P.C., G.C.B., G.C.V.O., J.P., the Lord Lieutenant of the County Palatine of Lancaster:- Lieutenant-Colonel Reginald James Brook, C.B.E., D.S.O., T.D., The Ridding, Low Bentham, Yorkshire. SUPPLEMENT TO THE LONDON GAZETTE, 3 MAY 1946; The undermentioned to be 2nd Lts. :- Lancashire (West) Comm. - Reginald James BROOK, C.B.E., D.S.O., D.L. (52193). SUPPLEMENT TO THE LONDON GAZETTE, 1 MAY, 1951; The undermentioned 2nd Lts. (War Subs. Lts.) from T.A. Res. of Offrs., Special List (for service with the Army Cadet Force), to be 2nd Lts., 1st Apr. 1950, with seniority as stated, and to retain War Subs. Lt. Reginald James BROOK, C.B.E., D.S.O., T.D., DJL (52193), 1st Apr. 1946. 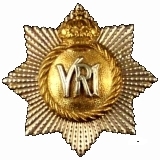 15 Jun 1931; Retired to pension and placed on the Reserve of Officers. "Lieut.-Colonel R.J. Brook, C.B.E., D.S.O., psc, has taken up residence in England. He is now Second-in-Command of the 4th Bn King's Own. It is expected that he will assume Command next year." 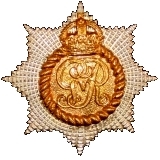 BROOK, Lieut.-Col. Reginald James, C.B.E. 1919, D.S.O. 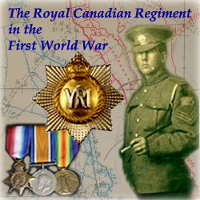 1916; Canadian military service; b Weybridge, Surrey, Eng., 1885; s Arthur B.; e schs. in Uppingham, Eng. ; m Eleanor Darlington, 1912; children D. Lesley Eleanor, S. Reginald David, D. Patricia; OFFICER COMMANDING 4TH BATTALION, THE KING'S OWN ROYAL REGIMENT; served in World War, 1914-18; with C.E.F. in Russia, 1918-19; mentioned m despatches; Address Beechwood, Silverdale, Carnforth, Lanes., Engr.